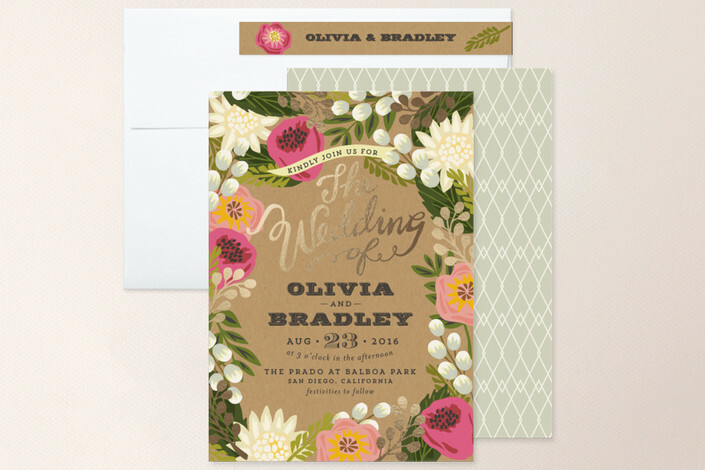 Floral border wedding invitation in pinks and greens. 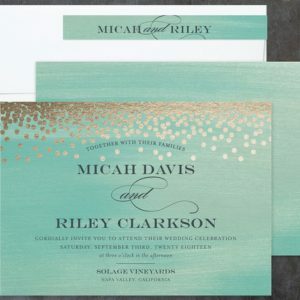 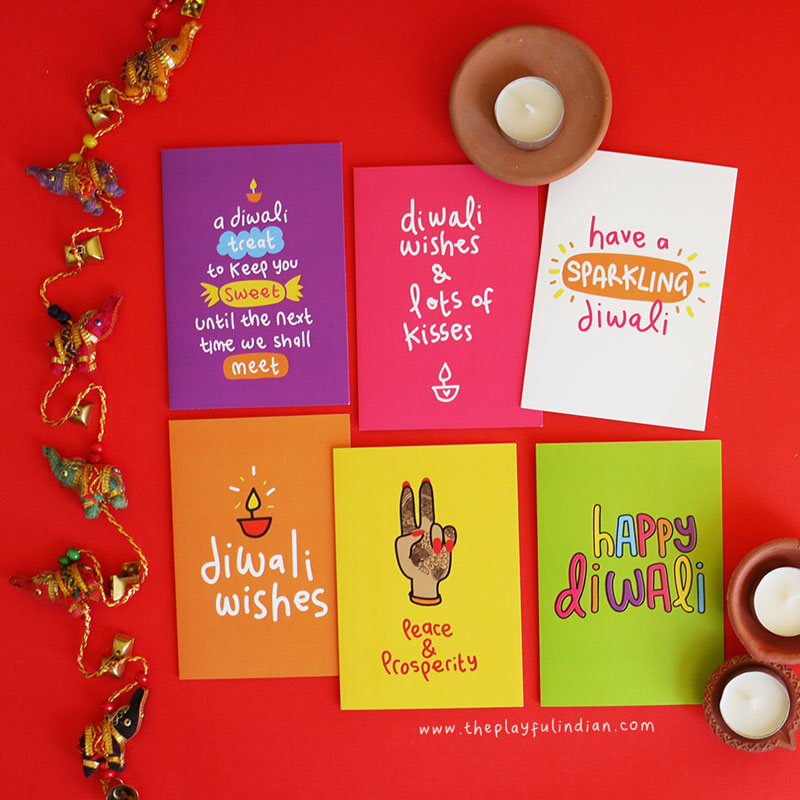 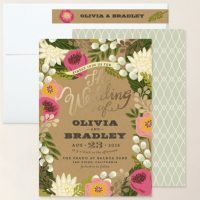 Created by Griffinbell Paper Co. on minted.com. 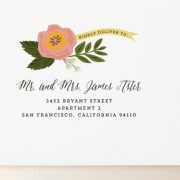 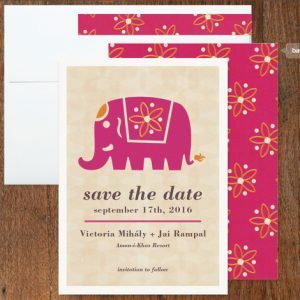 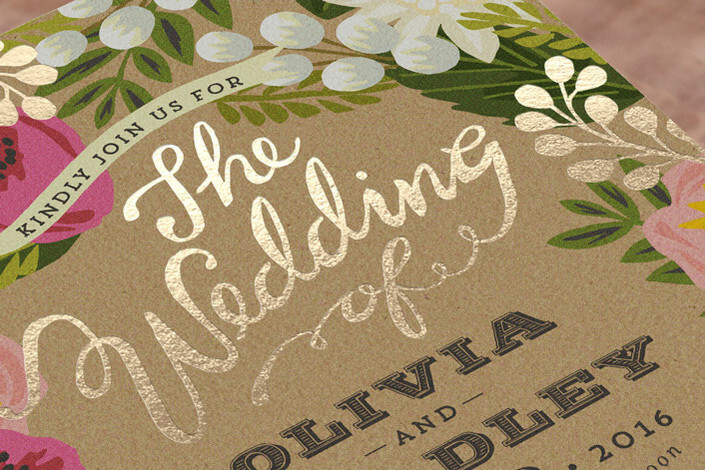 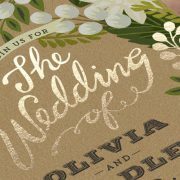 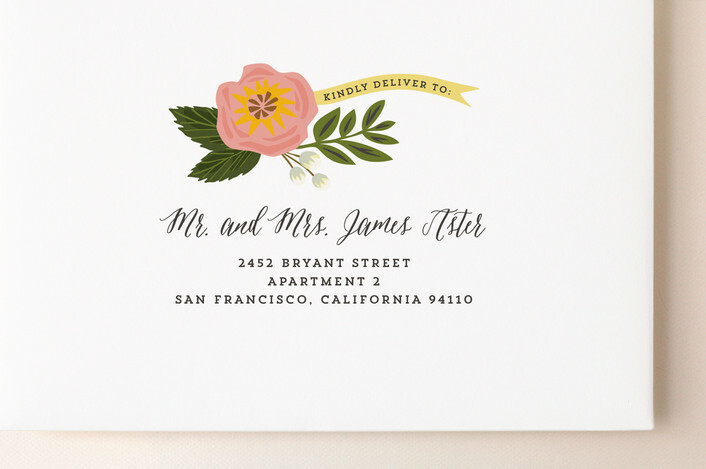 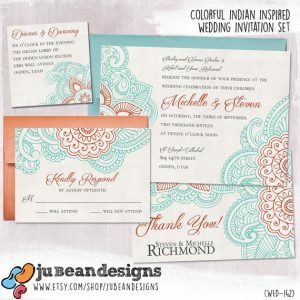 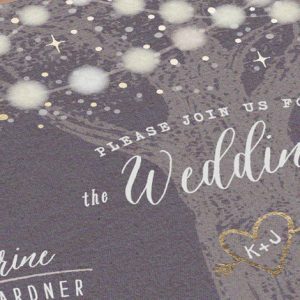 Basic style of 100 wedding invitations for $260.